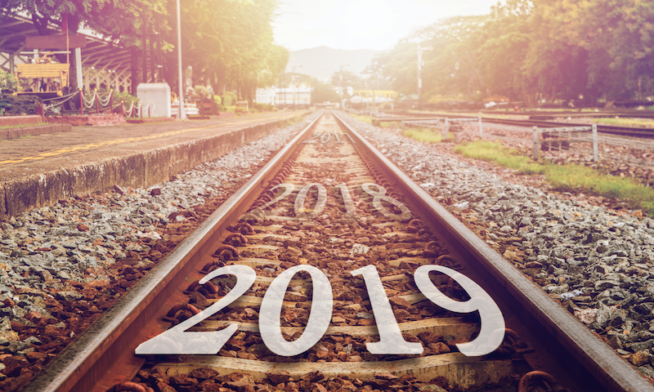 This is our 2019 kickoff in a series of blog articles from the DSCSA experts at Covectra. Covectra is a company dedicated to the art and science of supply chain integrity and US FDA DSCSA-compliant solutions implementation. The November 2018 DSCSA deadline (previously extended one year) for manufacturers to implement unit-level serialization quietly passed. Completing serialization equipment design, set up and validation has been a big a first step. The next work in progress is the evolution of the data collection and data exchange systems and establishing verification standards with 2019 operational roll-out. The FDA was crippled at year-end, with 40% of FDA employees furloughed. This created a narrow focus on essential tasks in January and no reporting on DSCSA is expected soon. Furthermore, the government shutdown resulted in backlogs all around the agency and February 15th could trigger yet another shutdown. Before the shutdown, the FDA announced that no further extensions would be granted to manufacturers. The FDA intended that 100% of pharma products would have unique serial numbers printed on their packaging to go into commercial distribution in the US. Yet, it is also being reported that a number of US facilities requested, and received, one-year extensions for DSCSA compliance. We suspect that many manufacturers built up inventory of “grandfathered” non-serialized product, as many small and medium sized companies could not meet the deadline for all of their products. That leaves them at risk of “enforcement discretion” that could lead to having their products removed from the market as a worst-case scenario. More likely, there will remain uncertainty and hybrid implementation, which can disrupt wholesaler and pharmacy operations. This is particularly true with the November 27, 2019 mandates ahead for wholesaler verification of serialized products for saleable returns. The reality during 2019 is that a great deal of continuing pain and substantial additional work will be required. There are reports of shipments where the lot number on the package does not match the lot level documentation and the industry still faces implementation challenges we thought would be resolved by now. We have HDA industry survey data, the GS1 Bar Code Assessments and real world experience to tell us that 100% compliance has yet to be achieved. GS1 Work Group Rx Barcode Assessments with real world HDA warehouse site scanning in June 2018 revealed a very low percentage (≈ 22%) of products were serialized when reaching wholesalers with compliant 2D – GS1 scannable Data Matrices with 4 AI’s. Thus, the reality is that DSCSA implementation in 2019 remains a tricky “hybrid” of grandfathered, non-serialized inventory still shipping alongside serialized products and currently very low levels of actual, fully functional, traceable inventory. Wholesalers expect to see higher numbers of products bearing the new product identifiers in commerce in 2019, but they must expect that they will be receiving grandfathered product without the new product identifier for potentially another two years or more. The Grandfathering Guidance allows for exemption of product through the expiry date, which can easily be 3 years to 5 years for some pharmaceuticals. The HDA must now focus on meeting the November 2019 mandated deadline for verification and documentation for any returned product going back into commercial distribution for sale. This is a critical business need for wholesalers, given the enormous dollar value of these saleable returns. As we enter 2019, to put this in fiscal context, after billions of manufacturers’ packaging line expenditures, there will be additional billions anticipated in operating and maintenance budgets for serialization annually, in industry-wide hardware and software maintenance. Moreover, the extended system and maintenance costs at wholesalers, pharmacies and healthcare providers, also part of the 2023 DSCSA scope, will cost billions more in implementation and ongoing operating business costs. We invite you to sign up for our blog to receive more insights on other uncertainties on the horizon. In the meantime, feel free to contact us with your own experiences and thoughts regarding DSCSA implementation concerns. We alsoinvite you to share your thoughts with us as the DSCSA’s challenging compliance mandates continue to require 2019 action and implementation in the pharmaceutical supply chain from manufacturers and their partners.